Spring is in the air and the market is off to a quick start! 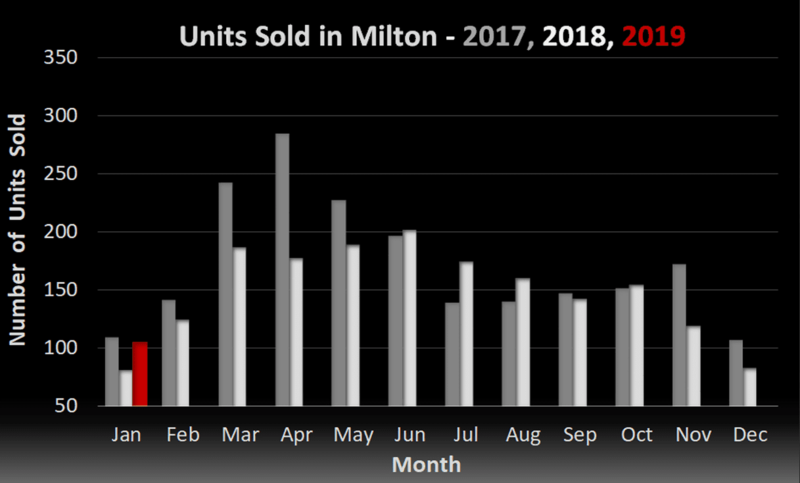 The Milton real estate market is off to a blazing start in 2019. 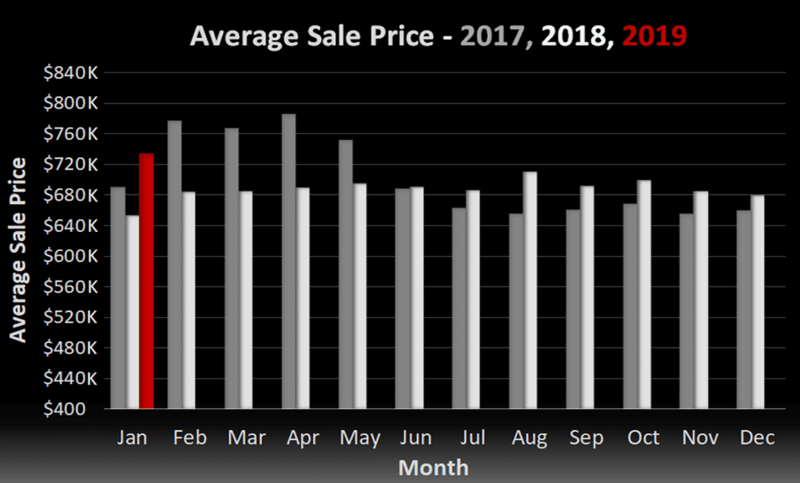 A lack of inventory and a large supply of buyers have started to push prices back towards the all-time peak of 2017. The 105 residential sales in January 2019 represent a 29.6% increase over the same figure for January 2018. The average price of $733,800 was also up significantly, recording a 12.4% gain over the 2018 figure. This is the highest level seen in Milton since the brief peak in May of 2017. Once again sellers appear to be waiting until the spring market to put their homes up for sale. Buyers on the other hand seem to be buoyed by the temporarily halt to rising interest rates, with some banks even lowering their 5 year fixed rates. For the first time in a long time, we are starting to see homes sell more commonly for above the asking price, with even a few old fashioned “bidding wars” popping up here and there. With inventory in Milton at less than 2 months supply and dwindling, and the higher end homes still lagging behind in terms of activity, now may be the perfect time to consider upgrading into your forever home. If you’d like to discuss your options, or anything Real Estate related, we’re always available to chat.